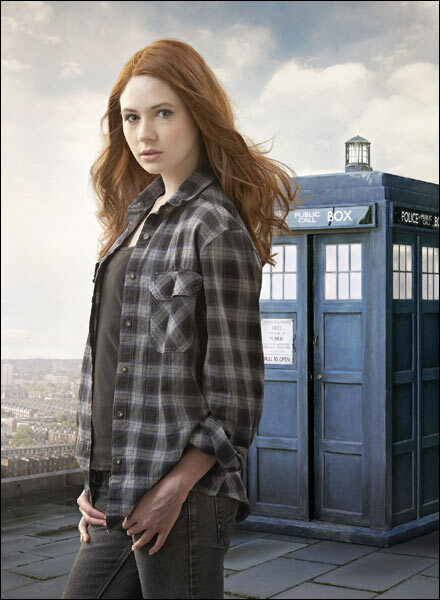 Karen Gillan will play the companion to Matt Smith's 11th Doctor in "Doctor Who." The BBC has announced that 21-year-old relatively unknown actress Karen Gillan will step into the TARDIS as the companion in “Doctor Who” when Matt Smith takes over as the 11th Doctor in 2010. Meanwhile, current Doctor, David Tennant, will star in three more “Doctor Who” specials to air later this year before Smith takes over the role. Tennant will be the new host of PBS’ “Masterpiece Contemporary” series when it returns in October. its going to be wierd not to have david tennant and rose or donnor or martha , david tennant is gorgeous no affence to matt smith , and the new episodes are worth looking forward too . Next Next post: “Vortex” is up for Best Piano/Keyboard Performance on TalentTrove.com!